My goodness, thank you so much Anya. 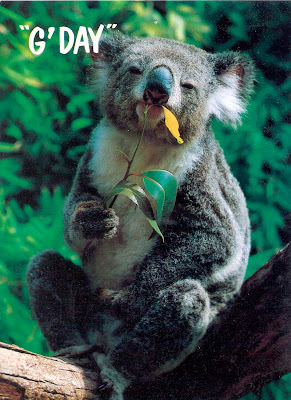 This is a cute little Koala, mind you they are all cute. I had to drive carefully to pass one crossing the road at the end of my driveway the other night. Wallaroo is in South Australia, about 3 hours' drive from where I live. I'm glad that you like the wine. South Australia produces some lovely wine. Thank you again for this lovely tribute, Anya and g'day back to you!